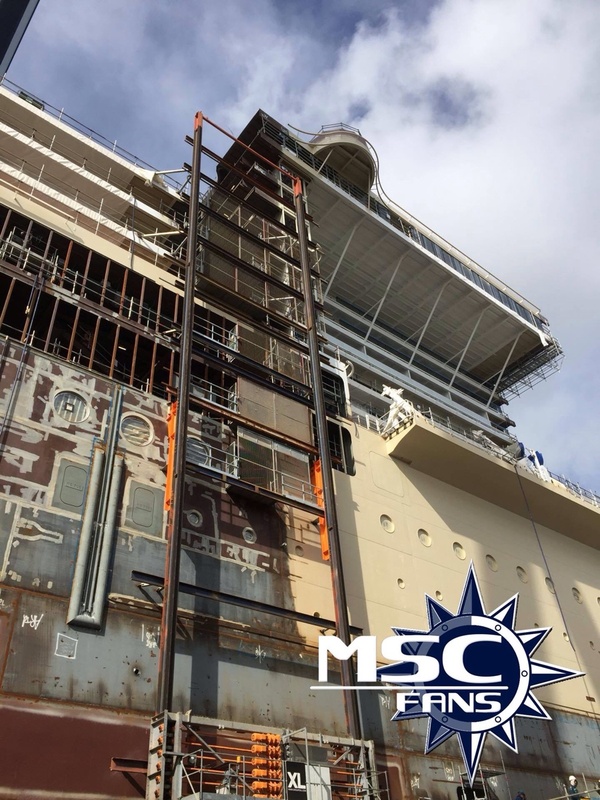 MSC Meraviglia is MSC Cruises’ newest ship, and it weighs in at a massive 171,598 gross tons holding 4,500 guests. Debuting in 2016, it is the first of MSC’s Vista-class ships, and sails the Mediterranean from three home ports: Genoa, Marseille, and Barcelona. In 2019, the ship will set sail for North America, as MSC looks to capture the attention of more guests in the Western Hemisphere. Meraviglia is MSC’s largest ship to date, and is only fourth in size after Royal Caribbean’s Oasis-class vessels. It features a large indoor promenade with a massive LED “sky” dome that changes images throughout the day or for special occasions, as well as a large lido pool with an ample amount of loungers. Since MSC Meraviglia is such a large ship, those that prefer an intimate, small setting for a cruise should probably steer away. On the other hand, guests that want a large, technologically-advanced ship with lots of activities and dining options may find that Meraviglia fits the bill nicely. Families enjoy the aqua park with three water slides, Formula 1 virtual reality racecars, a flight simulator, and full-sized bowling alley. There are also kids clubs for toddlers all the way up to teens, where youth can make new friends, play games, and participate in fun activities. Adults will be pleasantly surprised to learn that the large open-deck aft pool area transforms into a dance and entertainment space at night. Twice a night, six days a week is a Cirque Du Soleil acrobatic show, in the ship’s specially-built Carousel Lounge. One is called “Sonor,” which centers on a villain out to steal “sound.” Viaggio, the second Cirque show, is filled with color, juggling, astonishing feats, and casts a happy vibe over the audience. MSC Cruises is known for their Italian ambiance and cuisine, but Meraviglia brings a bit of American tastes into the mix as well. A first for MSC is an American-style steakhouse called Butcher’s Cut, and a Teppanyaki and sushi bar - complete with all of the classic knife juggling and jokes that Japanese Teppanyaki lovers will recognize. A classic aboard MSC ships is the Italian marketplace chain Eataly, which comes in the form of a small, lighter fare venue on the promenade deck, as well as Eataly Ristorante Italiano, serving up exclusively Italian food. Eataly is also a learning experience, where you can get advice on Mediterranean cuisine from the experts, and purchase things like pasta and olive oil. On the main promenade lies French master chocolatier Chef Jean-Philippe Chocolate & Cafe. Detailed chocolate creations are set up in glass cases for guests to admire, and the chocolate desserts are, obviously, the highlight of the cafe. Meraviglia has several main dining rooms, depending upon whether you choose a set or flexible dining time, each with its own ambiance and color scheme. The ship also offers a massive buffet with lots of food stations, like pasta, pizza, meats, and fruits and vegetables. Be sure not to miss the mozzarella area, where you can watch as the soft cheese, so popular in Italian dishes, is made right onboard. For a cocktail or beer, stop by the American-style Sports Bar, the Attic Club with a dancefloor and techno/house music, or the Sky Lounge with floor-to-ceiling windows overlooking the lido deck. Interior cabins on MSC Meraviglia can accommodate two guests and are around 172 square feet, while oceanviews hold 2-4 guests, (depending on the layout) and run 161 - 194 square feet. Balcony rooms accommodate up to four guests and are just over 200 square feet, not counting the balcony space. 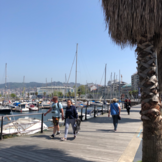 The ship also offers connecting staterooms for larger families, studio cabins for solo travelers, and a variety of suites - including Yacht Club suites which come with priority check-in, butler service, access to Yacht Club restaurants, decks, and lounges, luxury cabin amenities, and more. Cruise was just close to perfect in my opinion. 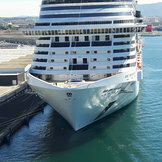 We did end up getting sick with a cough which put a bit of a damper on the trip but still was amazing and will definetly be sailing with MSC again. The 8 of us loved the whole experience except for the service received at Guest Services - Infinity desk. I was waiting patiently in line and 3 people walked up to the counter and were taken care of immediately. The desk clerks should have told the 3 people that they need to get in line. Bad service. On our cruise (9. - 16. July 2017) there was no Italian night, instead of that we had Mediterranean night. The dress code was casual. On deck 5 and 6 the temperature was really low. I was cold all the time on those two decks. MSC for me is a really useful app and I recommend that you all download it. The 4D cinema was awesome! The waterslides were great. We tried the crepes at the promenade and they were really delicious. Too many people and average food. Not a lot of menu options at sit down dinner restaurant. Para jantar, utilizem o Buffet no 15º andar, é mais rápido do que utilizar os restaurantes.